Two weeks ago, Fuller Center Director of International Field Operations Ryan Iafigliola set off on a whirlwind tour of FCH operations in El Salvador and Honduras while also exploring potential new covenant partners in another area of El Salvador and in Nicaragua. He came back with a new partnership in The Fuller Center of Leon, Nicaragua, and a soon-to-be new partner in El Salvador. He also returned with striking photographs of poverty from the Nicaraguan fishing village of Las Penitas where the Fuller Center plans to work. But the first image that pops into Iafigliola’s mind when he reflects upon his visit to Las Penitas is that of smiling children. “Trips like this are what keep me motivated,” he said. “One family in particular stands out to me, a family with four kids, two of whom were there. Dad’s a fisherman. Their house was nothing but a few boards, a sheet hung up as a door. So they had no security. You just felt bad for this family having to live there. While few images can compete with those of happy children, he also was struck by the generosity of the family. It’s something he has witnessed time and time again in his international travels but remains impressive. And, now, they have a Fuller Center for Housing based in Leon, about 12 miles eastward, to help. It’s a relationship that traces back to the beginnings of The Fuller Center for Housing when Danilo Guiterrez Garcia began emailing founder Millard Fuller and exploring the possibility of forming a covenant partner in Nicaragua. Nearly seven years and many email exchanges later, Iafigliola was able to visit the site. 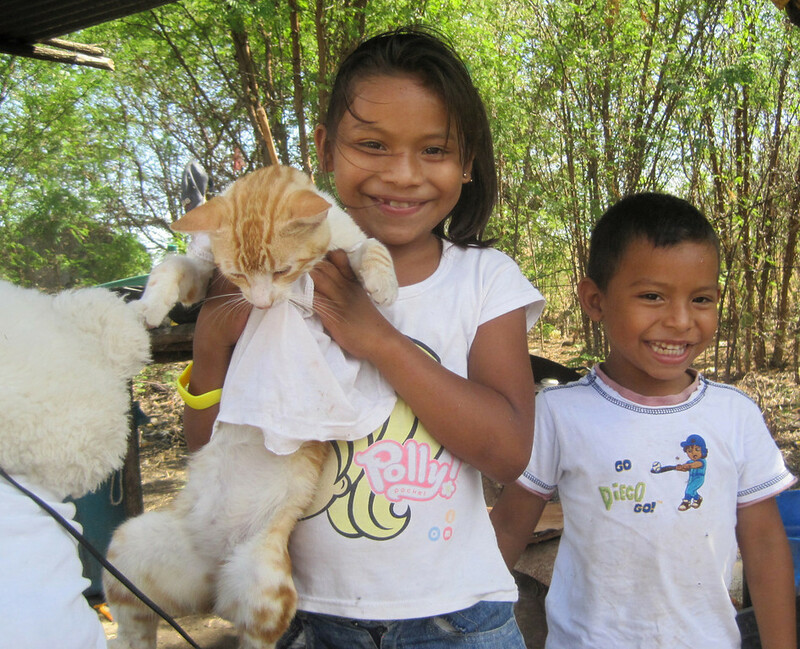 While there, he was able to see how other programs are benefiting Nicaraguans, including one called Habitar (different than Habitat), which helps locals form cooperatives to get their hands on housing funds through banks and the government. Fortunately, The Fuller Center’s covenant partner there will be led by a team with a long history of helping Nicaraguans get into decent housing. With the help of Fuller Center donors and volunteer teams, they aim to do more. Learn more about our Global Builders program. View dozens of photos from from Ryan Iafigliola’s visit to Nicaragua.